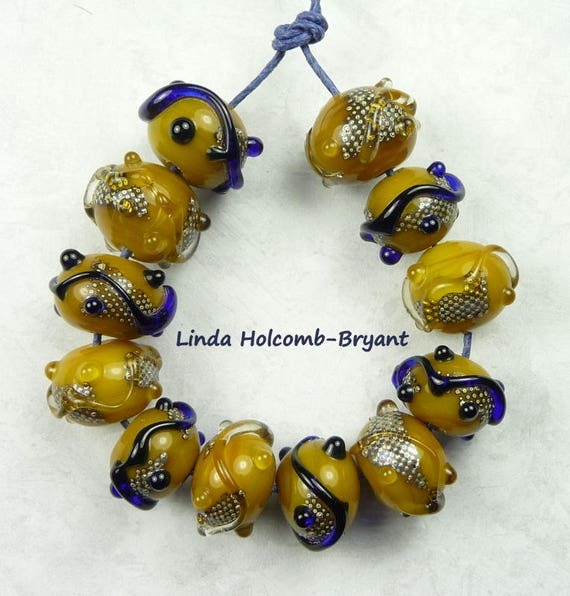 Lampwork Glass beads by Linda, are kiln annealed for lasting strength. Beads to add to your bead stash. Dots, swirls, free form. 12 beads in all, largest bead is 1/2 inches.